Wire wrapping is so popular and it's no wonder with all the amazing and unique designs you can create! In this step by step tutorial, we show you exactly how to make a wire wrapped ring using a rough gemstone. Above we've used the same technique with a piece of sea glass and rough amethyst stone. Wire-wrapping doesn't require any soldering supplies, and with only a few tools needed you can create a simple ring in no time. 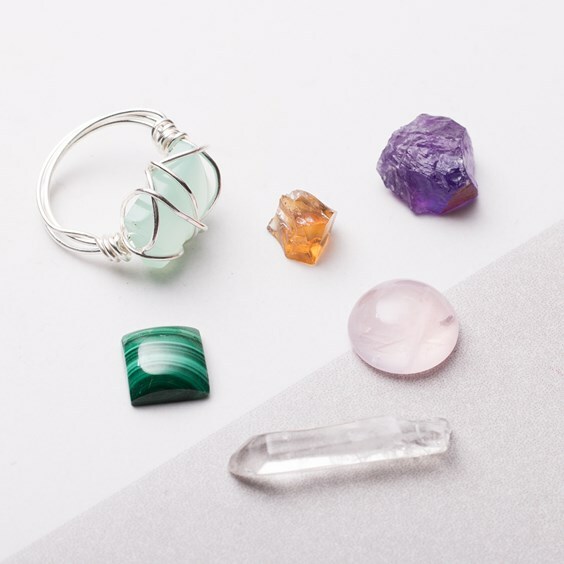 Shop our range of crystals and rough gemstones here. TIP: It's great to practise with plated silver wire as a budget option but do be aware it's harder to work with than sterling silver which is much more malleable. 1. Lay the wire straight on a flat surface and measure approximately 40cm. 2. 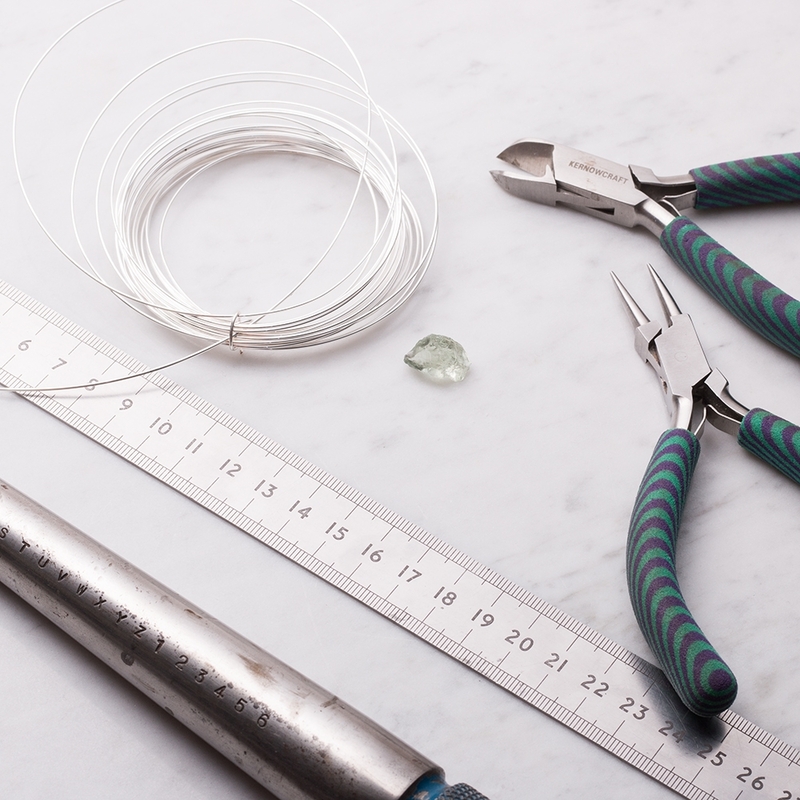 Cut with side cutters - 40cm gives enough wire for your ring size and excess wire for wrapping. 3. Begin by gently bending the wire in half around the triblet. 4. Position your wire work on the triblet on the point of the ring size that you'd like your ring to be. If you do not have a ring triblet you can look around the house for something round to use such as a wooden spoon handle, pen or wooden dowels. Wrap one end of the wire around the triblet, leaving two loose ends. 5. With the two loose ends at the front of the triblet, individually wrap each end under the wire ring one or two wraps, leaving enough space for the length of your stone between them. These wraps on either side will secure the ring to a fixed size. 6. Position your flat nose pliers where your stone will rest and use them to flatten the curve of the ring slightly. This will give your stone a flatter surface to sit on, making it easier to secure. 7. Hold the stone in place on the ring and wrap one end of the loose wire around the stone to hold it in place. When you run out of wire, wrap extra loops around the side loops you created in step 5 to secure in place. 8. Repeat step 8 with the other piece of loose wire and wrap at the opposite side, ensuring the stone is secure within the wire wrap. 9. Use side cutters to snip off any loose wire and use snipe nose pliers to tuck in any loose ends. Place your ring back on to the triblet and re-shape to the correct size. Your ring is now finished! Now you know the technique, you can experiment by creating more loops and getting creative with your wire wrapping! 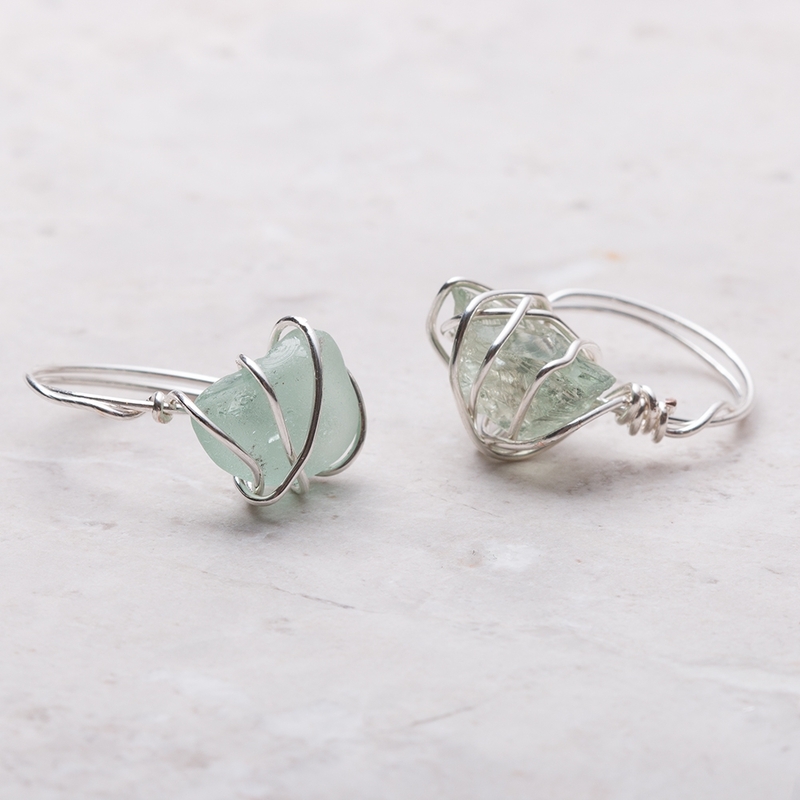 This wire wrapping technique is perfect for using with your favourite gemstones and rough crystals. At Kernowcraft, we have a range of beautiful stones to choose from in a range of sizes.